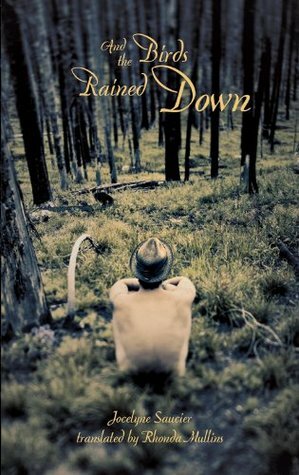 Sixteen-year-old Franklin Starlight has spent his life on a farm in British Columbia’s remote interior with the old man, who raised him and taught him to hunt and fish, and get by in the backwoods. He has never known his mother, and his father Eldon is an alcoholic who left him with the old man when he was a baby. His father has only ever hurt and disappointed him, but when he receives word that Eldon is dying and wants him to visit, duty still compels him to answer the call. In a tiny, mouldering mill town, he finds his father wracked by liver failure. His dying wish is to be buried on a ridge a three day ride from anywhere, and Frank is the only person who can get him there. Frank has never been able to rely on Eldon for anything, but now it is Eldon who must count on his estranged son in his final days. Both Eldon and his son are quiet and stereotypically tough men, hiding deep emotional wounds beneath rough exteriors. But around the fire at night, Eldon begins to confess, telling his son about his nomadic childhood, the death of his best friend, and, finally how he met Frank’s mother, and how she died. The depth of the ways in which Eldon has hurt his son are revealed in careful tandem with the revelations about his own hard-scrabble life, and the trauma that led him to the bottom of the bottle. They fight and cry, trying to reconcile sixteen years of hurt and silence in three days. Alcohol and silence have dulled Eldon’s pain for years, but his wish to go out clean and seek forgiveness demands that the pain finally be felt, and spoken. Richard Wagamese conducts a careful balancing act, never undermining the damage that has been done to Frank, and yet making Eldon into a sympathetic character. Wagamese’s carefully polished prose and sparse dialogue are ideally suited to the taciturn nature of the Starlight men. His more descriptive writing is reserved for the backwoods landscape they move through. The least fleshed out aspects of the book are the women who pass briefly through it. Eldon’s mother and Franklin’s mother are very similar, both of them being characterized by their storytelling, and their poor taste in men. They are more defined by their absence than their presence. 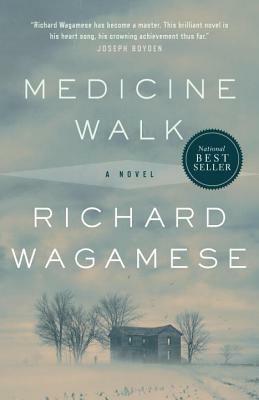 Medicine Walk interrogates the idea of family, both by birth and adoption, and the connection between family and identity. Most of the characters come from mixed-blood backgrounds, lacking a strong connection to any one identity or place. Their traditions have been destroyed or lost, leaving them grasping for something to hold onto. Eldon has latched onto the idea of a warrior’s burial—sitting up and facing east—which he vaguely connects with his unexplored Ojibway heritage, and the power of the idea becomes more important than its authenticity. Meanwhile, Frank, who has been raised by a white man, has been able to reconnect to the land and learn to survive on it, a skill which makes his father’s final rite possible. Moving and emotionally fraught, Medicine Walk takes us through a striking landscape on a journey of reconciliation.